Nassau The Bahamas - “We are all our brothers’ keepers”, Prime Minister Dr. the Most Hon. 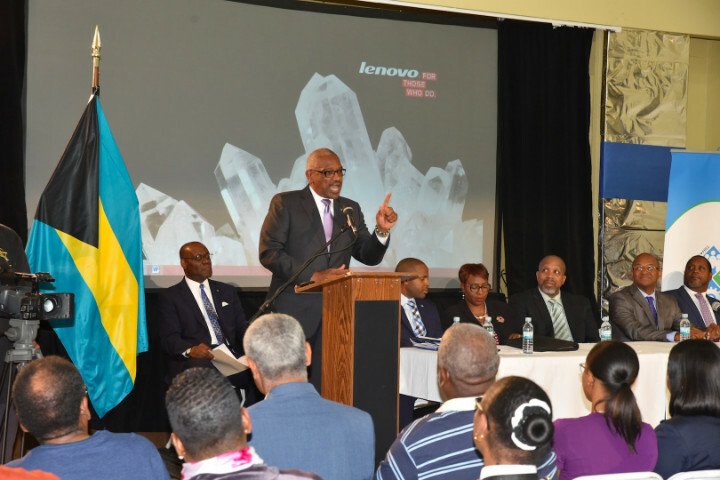 Hubert A. Minnis told residents during an Over-the-Hill Community Development Partnership Initiative town hall meeting. 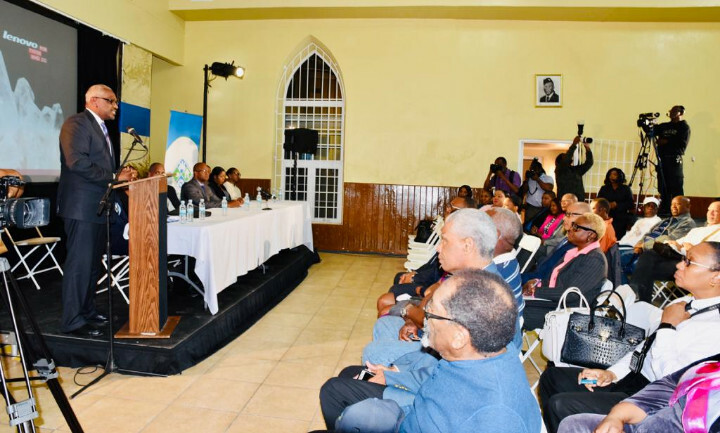 The series of dialogue with residents in the target areas focused on the Economic Empowerment Zone Act, 2018 and the concessions therein, during the meeting held at the Grants Town Wesley Methodist Church on Baillou Hill Road and Meadow Street on Wednesday, November 28, 2018. The Prime Minister’s remarks were reminiscent of his childhood upbringing; growing up in a clean and safe environment though poor. It was in May 2018 that the White Paper on the Over-the Hill Community Development Partnership Initiative was introduced to the public in a town meeting at the landmark Bethel Baptist Church. The Initiative calls for policy objectives for the rejuvenation of the historic Over-the-Hill Community. It has six key pillars, designed to fully restore the lives of residents. Programmes for the Youth and the Elderly. In addition, at the latest town meeting businesses owners, renters and home owners got information about one of the key components of the Government’s plan to restore the Over-the-Hill community. Samita Ferguson, Executive Manager of the Over-the-Hill Unit in the Office of the Prime Minister gave a presentation on the Over-the-Hill Initiative. “My Government is committed to restoring the Over-the-Hill community, and other communities experiencing economic hardship, to their glory days,” the Prime Minister said, adding that there has been no significant change in about 50 years. Sharing more of his childhood days, the Prime Minister recalled his shining shoes through Hospital Lane and Meeting Street and then worked as a pump attendant at his father’s gas station, Minnis Service Station. He stated that he and Member of Parliament for Centreville Reece Chipman might disagree on some things but they do speak with one voice when it comes to changing the environment and the quality of life for Bahamians. In this vein, The Economic Empowerment Zone Act, 2018 allows the Government to offer significant tax concessions on duty, real property tax, stamp tax and excise tax to businesses in areas experiencing economic hardship, poverty and high crime, among other measures. The designated areas for the zone are Delancy Street North, to Wulff Road South and Nassau Street West to Collins Wall in the East. Other areas will be zoned in similar fashion. 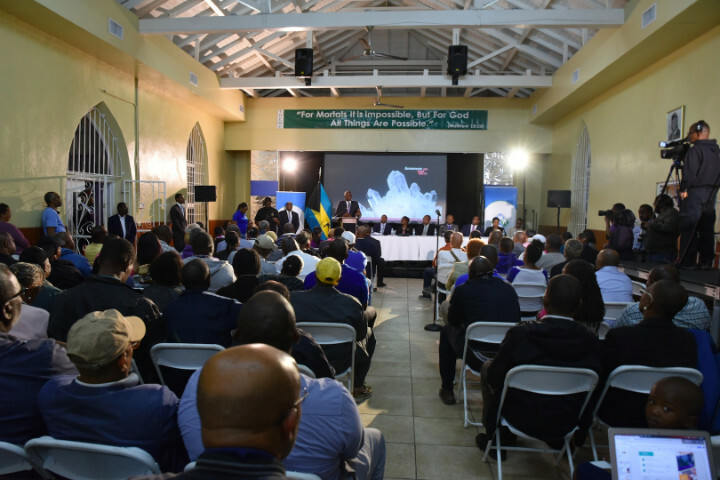 Those areas are Englerston, Kemp Road, Fox Hill, Rock Crusher, Gambier and other pockets of poverty, the Prime Minister said. “We are trying to bridge the gap,” he said. Already, the Southern Recreation Grounds is being prepped for redevelopment. Some 50 residents are also expected to be hired by Christmas 2018. “Your job is to keep it clean. As we do our jobs, you do your jobs. We want a healthy environment,” the Prime Minister admonished. Donors have pledged support of the re-development project, most recently Albany with $600,000 in two instalments.